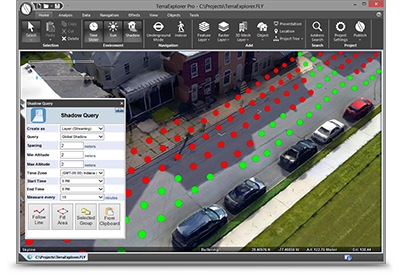 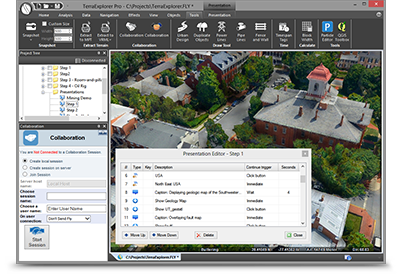 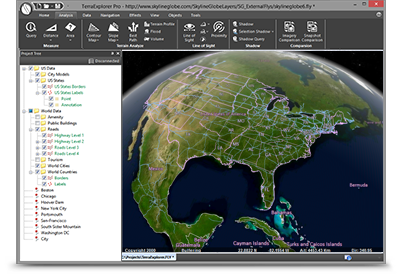 A cutting-edge 3D GIS desktop viewer and creator that provides powerful tools and a high resolution 3D environment in which to view, query, analyze and present geospatial data. 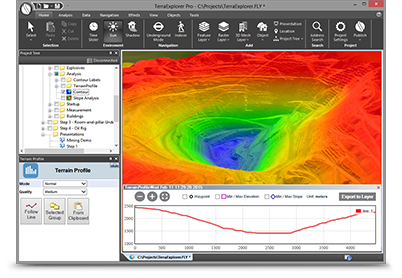 With TerraExplorer's robust and extensive capabilities and ever-increasing interoperability, stunningly realistic 3D visualizations can be created by overlaying the terrain with unlimited data layers, 3D models, virtual objects and more. 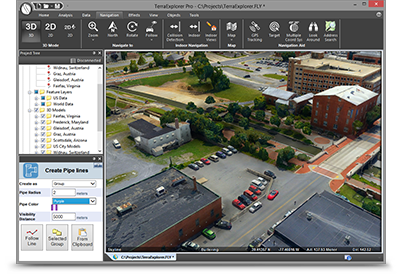 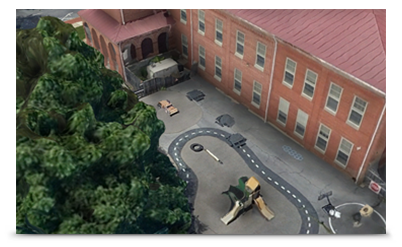 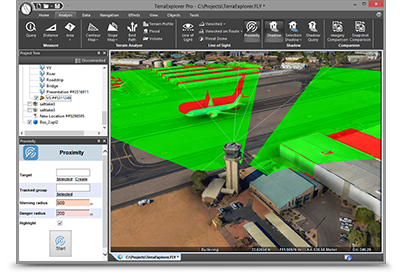 Users can navigate through and perform advanced terrain analysis and basic editing of high resolution 3D world environments created by fusing aerial and satellite photography, terrain elevation data and other 2D and 3D information layers. 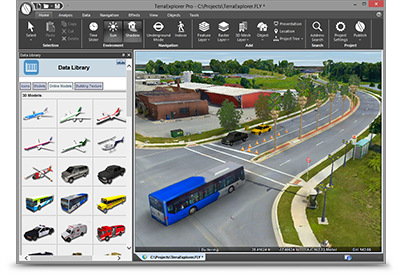 Adds loading of all 2D and 3D offline formats, feature layer editing and querying, advanced objects and drawing tools, a set of tools for professional usage, and the advanced Pro API interfaces. 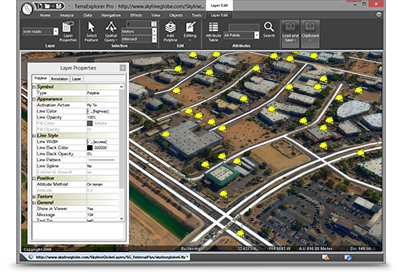 Adds publishing capabilities as well as uploading of data to SkylineGlobe cloud.